In October, Grow West saw the last tree planted in the ‘Greening the West 1 Million Trees’ project area. 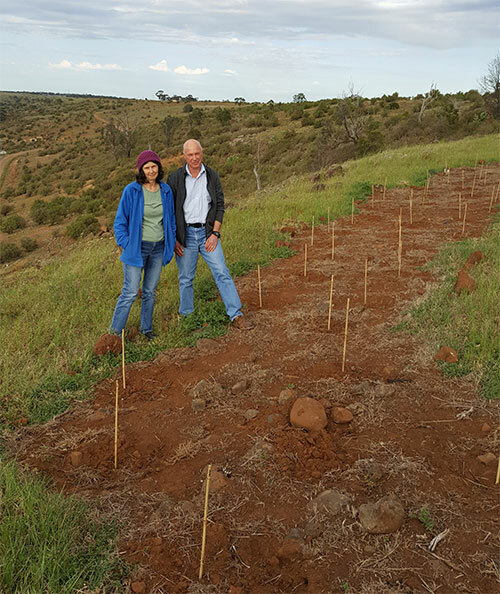 With 48 landholders participating and over 340,000 trees being planted this year, Environmental Projects Officer, Helena Lindorff and Emma Muir are ready to put their feet up! The Greening the West 1 Million Trees project is funded by the Australian Government through the 20 Million Trees Programme. Focused on Melbourne’s six western municipalities, the project supports achievement of a vision of sustainable, liveable, healthy communities through urban and peri-urban greening. 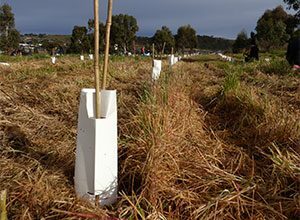 The Port Phillip & Westernport CMA, through the Grow West and Greening the Maribyrnong projects, secured a share of $3.63 million from Lead West to assist with the delivery of the Greening the West 1 Million Trees project.